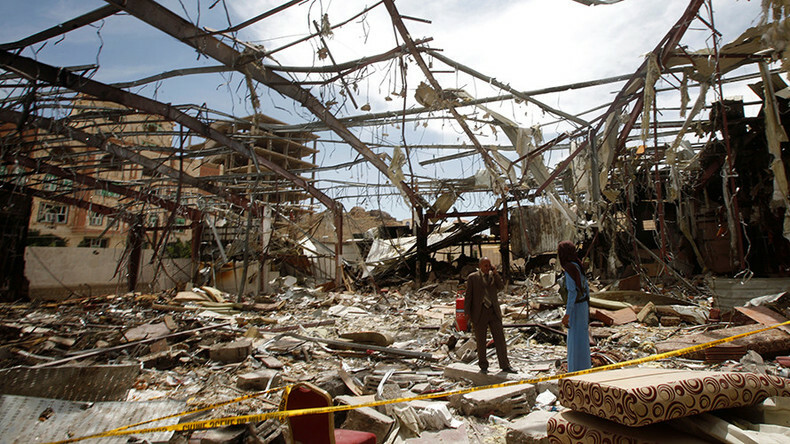 More than 20 people have reportedly been killed in a Saudi-led coalition airstrike on a marketplace in the town of Al Hudaydah in Yemen. Graphic footage obtained by RT’s Ruptly agency appears to show debris and bodies burning in the aftermath of the bombing. Earlier, medics told an RT stringer that at least 17 people have died warning that the death toll may rise to over two dozen. More than 12 people were injured. According to AFP, 26 people, including 20 civilians and 6 Houthi rebel fighters, were killed in the airstrike. The militants allegedly fled to the market to escape the bombardment, but were still targeted by the warplanes. A military source close to Saudi-backed President Abedrabbo Mansour Hadi told AFP that the rebels used civilians as "human shields." 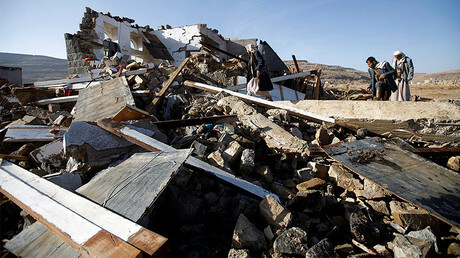 Al-Masirah TV channel, controlled by the Houthis, reported that 27 people were killed and dozens wounded in the attack. The Red Sea port of Al Hudaydah is Yemen’s fourth-largest city, with a population of around 400,000, located in the west of the country. 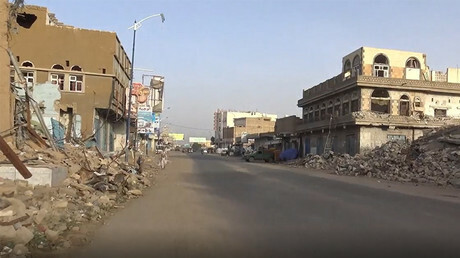 Since March 2015, Saudi Arabia has headed an international military coalition carrying out an unrelenting campaign of airstrikes against the Houthi rebels in Yemen. Riyadh and its allies have been accused of war crimes by humanitarian groups after their airstrikes hit residential areas and public gatherings on numerous occasions. In late February, the UN humanitarian coordinator for Yemen, Jamie McGoldrick, said that around 10,000 people have been killed in the country since Saudi Arabia intervened, with 7 million people close to starvation. According to World Health Organization figures, more than 7,400 people have been killed, with around 1,400 of them being children. The UN Security Council on Friday convened for a report by UN Emergency Relief Coordinator Stephen O’Brien on the humanitarian situation in a number of countries, including Yemen. Safronkov argued that the continuation of the military conflict in the country plays into the hands of international terrorism. Accusing both the Saudi-led military coalition and Houti rebels of committing “war crimes” during ongoing hostilities, Benchemsi, however, noted that “the majority of casualties are due to the airstrikes by the Saudi-led coalition,” citing UN data. “We ourselves, at Human Rights Watch, were able to document 61 apparent unlawful airstrikes, all conducted by the coalition, some of which may amount indeed to war crimes and that have killed nearly 900 civilians and have hit civilian areas, including markets, schools, hospitals and private homes,” he said. He called on western powers, who are continuing to supply Saudi Arabia with weapons despite the damning evidence of its human rights violations in Yemen, to immediately halt deliveries. Benchemsi also slammed the blockade “organized by the Saudi-led coalition” and “in some areas” by the rebels that hinder the access to humanitarian aid by the civilian population, of which 80 percent depend on international aid in to various extent. "Both sides are responsible for the difficulty to get to these civilian populations and bring them the first aid that they need,” he said.